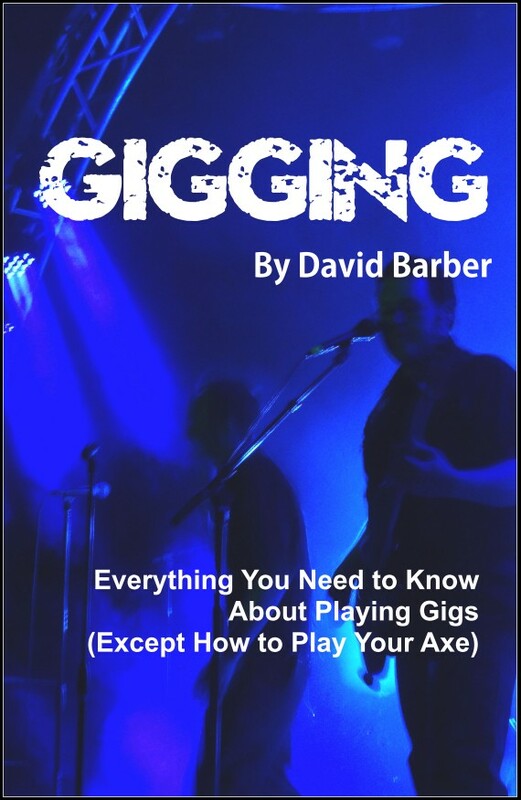 Gigging covers everything that any band or solo artist needs to know about booking gigs, getting paid for those gigs, and how to get along with the sound engineer. Wondering about whether or not to enter that Battle of the Bands? Or how to win that competitive showcase? Wondering what that music venue really wants from you? What happens if you piss off the bartender? Why didn’t you get a sound check? Want to take your band to the next level? Read this book and get the answers. Buy the book now as a PDF download, Only $4.99! readable on almost any device, BEST VALUE! First off, our opinion, based on real life observations, is that there is usually only one band that walks away from any battle happy. That’s the winner. All the other bands walk away pissed off, angry and/or certain that the whole thing was unfair or even fixed. The only one who always comes out ahead is the venue and/or promoter who put the whole thing together. It doesn’t matter if it’s a local best blues band in the city battle or if it’s a National or even International competition, the people who put it together or sell beer to the fans are the only ones likely to make significant money. Sometimes even the winner walks away disappointed. The venue makes money because the bands are always encouraged to bring in as many people as possible to the event and the promoter makes money off the entrance fees or ticket sales. Here are the things that any band should seriously consider before deciding to enter a Battle of the Bands. This should be the first question any band asks before making a decision. Will you be judged on the quality of the music? Stage Presence? Crowd Response? Tickets sold? Originality? Skill? Songwriting? Performance? And don’t forget to follow up with “Who will be the judge(s)?” If the promoter can’t tell you exactly how the band will be judged at the time they book you, that’s a Big Red Flag that means you should probably sit this one out unless you can talk to some other bands that did the same battle last year and can tell you how it went.